Wow, we’ve hit number 20! 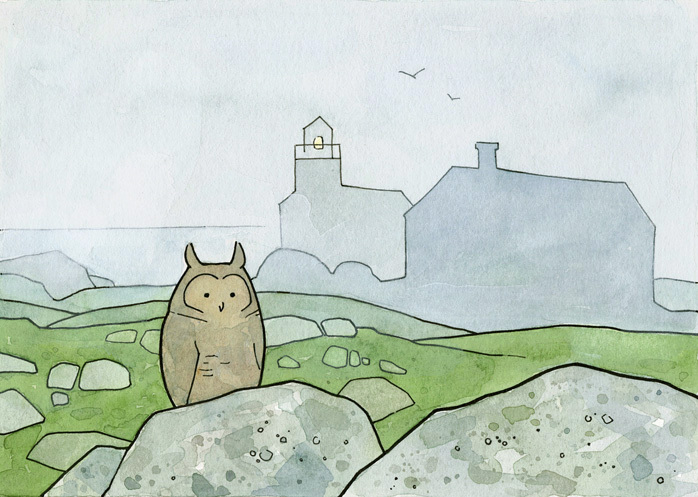 This Owl is on a foggy and rocky island, with a lighthouse and the sea behind. This one was fun to paint, as are most with fun different weather. Green is tricky, it is tough to use most times. This wasn’t too bad though, i think it helped to limit the green area and have different depths. Speaking of the shop, I just got some postcards made! They are really fun, i think the illustrations suit the postcard format well. 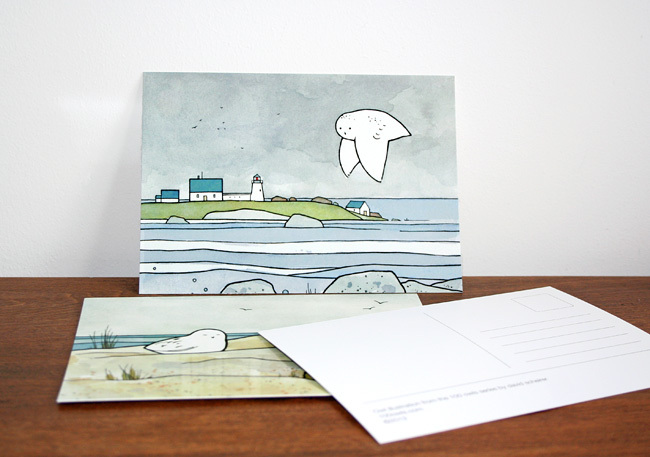 So far I have a set of Snowy Owl postcards available. I love this one … Neptune rules the sea, clouds and fog. Love this one! The colors just make me happy. Just found your owl site at Etsy. Such a simple design style but so well executed. Also super cute!